PHP is an accessible yet powerful language for creating dynamic web pages. As its popularity has grown, PHP's basic feature set has become increasingly more sophisticated. PHP is a general-purpose scripting language suited for Web development. The PHP script can be embedded into HTML. 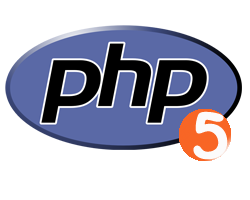 Now PHP 5 boasts advanced features--such as new object-oriented capabilities and support for XML and Web Services--that will please even the most experienced web professionals while still remaining user-friendly enough for those with a lower tolerance for technical jargon. Sign up for our UK PHP 5 Hosting with no risk to try our excellent service start from £2.99/month! ASPHostDirectory.com offers cheap PHP 5 Hosting to all our new and existing UK customers. You can try our services before buy it. Get FREE 7 days Trial Hosting with us. There's no obligation to buy — you can upgrade to a more robust account or cancel at any time. No risk anymore, why wait longer?